Head down to Welsh Back any time between 12pm and 12am on the 23rd and enjoy a cider or two in the sunshine while making the most of the additional entertainment that the venue is putting on on the day. 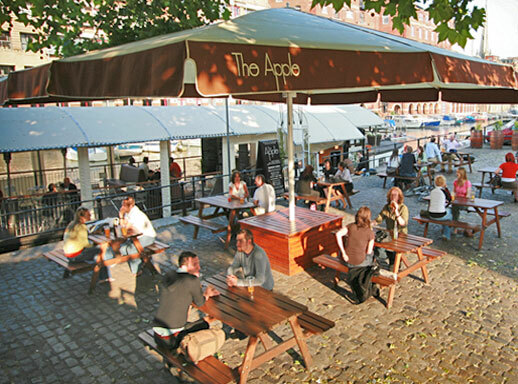 Take part in the World Apple Bobbing Championships or a Blind Cider Tasting Challenge (I know a few people who’ll reckon they’ll do well at this! ), and enjoy a hog roast by the river, accompanied by “a day long mashup of the greatest English music of all time – George Formby & Vera Lynn to Madness & The Prodigy”. Click this link for more information on the UK Cider website, or this link for the official Facebook page. Both websites also feature details of the ciders nominated in each category by each of the venues.